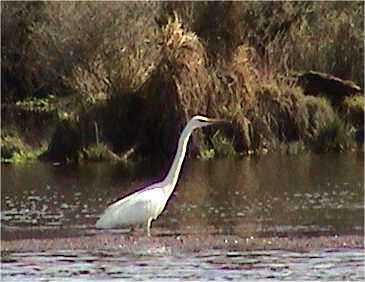 The White Heron, or Kotuku, is a regular site along the shallow margins of Lake Brunner. In fact, the Maori name for the lake is Kotuku-Whakaoho. 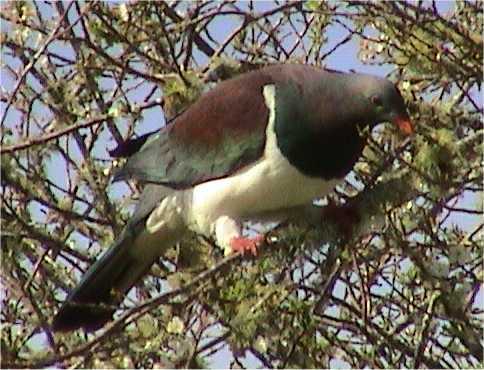 The NZ Pigeon (Kereru) is a beautiful bird. Spring time sees then on the willows and plum trees around the village, after the new leaf buds. 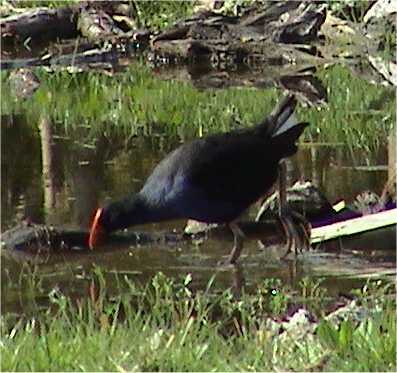 The Pukeko is a swamp bird that has thrived with the advent of civilisation. Pasture-lovers, they enjoy paddocks of new grass, much to the dismay of local farmers! 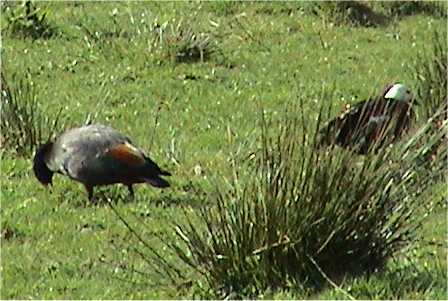 Paradise shelduck are a common sight locally. 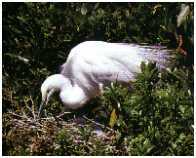 The female has the gaudy plumage, unusual in the bird world. 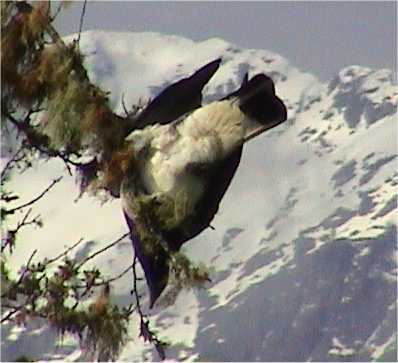 They mate for life, and nest high in the tops of native trees - the 20 metre plunge does not seem to deter the young birds from leaving the nest, long before they can fly! 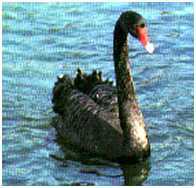 Black Swan are often seen in their hundreds in the shallow, weedy bays. Bottom feeders, they also enjoy the high lake levels which result in pastures being inundated. 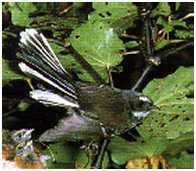 The delightful little Fantail is a cheerful companion for wanderers in the local rain forests. A cheeky, inquisitive bird, they will flit along with you as you walk, keeping a careful watch on your invasion of their territory.